My student Meeko offering attention while settling on his bed, two behaviors he started learning when he was two months old. How to take a treat: You’re probably going to give your puppy or dog thousands of treats over the next 10-20 years. Won’t that be more fun if he knows how to take them gently? Teach treat-taking as its own skill before training other behaviors. Hand-feed your pup, offering food in a flat or cupped hand—rather than pinched between two fingers—and bring the tidbit right under the dog’s mouth so that he doesn’t learn to leap for it like a shark after a seal. Offered attention is the best attention: Your puppy probably loves to look at you now. Don’t take this for granted—as his world expands, he’ll develop other interests. Acknowledge those oxytocin-inducing gazes and reinforce them—with attention, with petting, with play, with access to the environment, with food. As your training progresses, you’ll find that this kind of attention is even more valuable than attention you request. In fact, it’s the first step in teaching pretty much every other behavior. You don’t need to guard anything from me: There’s a lot of dicey advice out there about how to prevent guarding behavior, much of which involves sticking your hand in your dog’s food while he’s eating or snatching items away from him randomly. Unfortunately these moves are more likely to teach your dog that he needs to guard than they are to teach him that he shouldn’t. (Try them on any human and see how quickly she gets aggressive.) Instead of taking, give: Bring in an extra treat while your puppy is eating or chewing, and then—up to 90 percent of the time—just walk away. He’ll learn that your approach when he’s got a goodie is to be anticipated, not dreaded. If you do need to take something away before you’ve had a chance to teach a cued “drop,” trade up. Practice regularly to build trust for the day you need to take something without giving anything back. Hands are more fun to bop than bite: Teach your puppy to target his nose to your flat, empty palm or closed fist. Here’s a nice tutorial on how. Now your pup is learning that hands are good, and not just for nibbling on. And guess what? If your dog just loves to bop your palm with his nose, he’ll move to do it. You don’t even have to teach him that—every puppy already knows how to move toward things he wants to do. Get an enthusiastic nose target up close and you’ll have a launchpad for dozens of useful moving behaviors, including come, up, off, over, under, around, heel, and more. Love thy mat: Settling on a small mat is one of the most useful behaviors you can teach a dog. A dog who’s lying on a mat can’t also be cruising dinner guests, jumping on visitors, running the fenceline, etc. Plus, pups who learn a settle early tend to offer it as a default—it’s what they do when they don’t know what else to do. One of my favorite protocols for starting this behavior comes from Nan Arthur’s book Chill Out Fido, and is also available as a free handout on her website. Tension on the leash is an opportunity: A leash used well is an airbag, not a steering wheel. Teaching your dog how and where you want him to walk, and making it worth his while, is key. But even if you never pull on your end of the rope, chances are that at some point your puppy will, and when he does, he will feel tension on his collar or harness. You can teach him that the instant he feels the leash go taut, he can earn a treat by moving into it. Two popular ways to teach this with the most minimal pressure are from Michele Pouliot (on-demand video here) and Shirley Chong (here as interpreted by Grisha Stewart). Everything is awesome: Puppies from eight to 12 weeks of age are primed to learn about new people, places, things, and experiences, and your job is to rig these encounters to breed optimism. Provide several novel experiences each day. 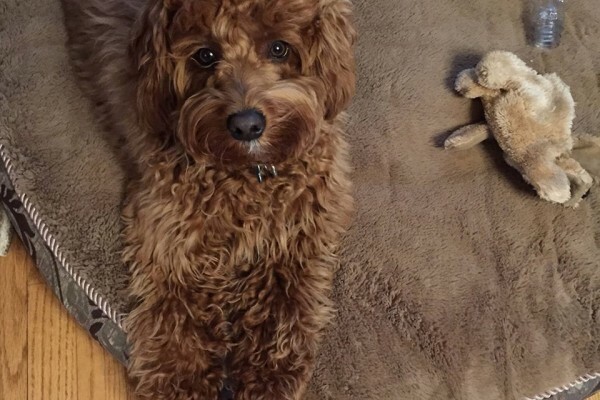 Enlist the help of your veterinarian (check out my mentor Laura Monaco Torelli with her dog Santino, who’s been enjoying orchestrated positive experiences at the vet since he was a baby) or future groomer. Think inside the home as well as outside—for many pups, being confined or left alone are brand-new too. Let your pup explore them at his own pace, be proactive about keeping—or making—experiences pleasant by associating them with food and play, increase intensity gradually, and watch the body language so you can adjust or abort if he seems scared. I’ll be the first to admit that this list is a little arbitrary. (One could easily argue that housetraining ought to be on it, for instance.) But leaving off “sit,” “down,” “come,” “stay,” and the like was a deliberate decision. If your dog loves to pay attention to you, he’ll learn to do many of these behaviors practically as a byproduct. And while most dogs pick up basic skills quickly when we communicate well, fear and anxiety from incomplete or poor early socialization are all-too-common obstacles to learning. A 10-year-old dog can learn to sit on cue in about five minutes, provided it’s still physically comfortable—but getting him to do it when he’s terrified of his environment is a much more daunting task. What did you teach your puppy first—or wish you had? Growing up with my parents dog I noticed that if she was ever unsure of what you were asking she would sit. Sit was the first thing we had taught her and it seemed to be 'default' for her. When I got my first dog I decided I'd teach recall first as I believe that is one of the most important things you can teach and to this day her recall has been fab.